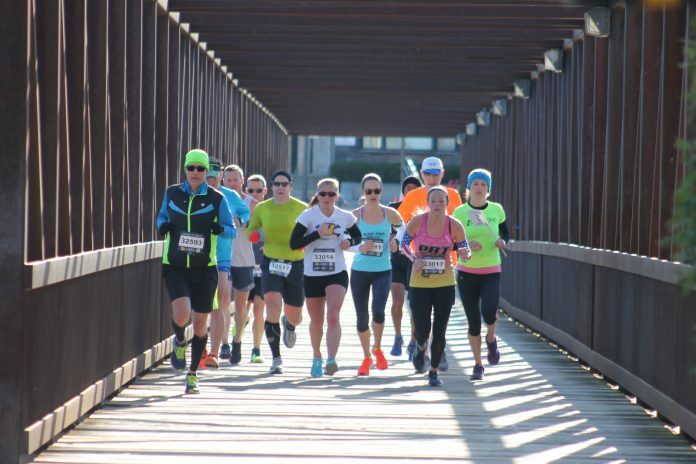 The Spring Chance BQ.2 Marathon in Geneva, IL is truly a runner’s paradise. The ultimate goal is simple: help as many runners qualify for the Boston Marathon. The field is kept very small, maxed out at 300 participants. The entry requirements are also helpful for those looking to BQ; you must have run a marathon within the last three years, and within 10 minutes of your 2020 BQ standard. For someone who qualified for Boston 10 short months ago but didn’t gain entry into Boston because of 19 seconds, this race was right up my alley. Spoiler alert: I didn’t qualify for Boston at this event. 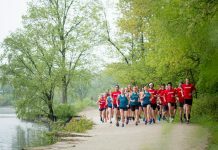 The race takes place along the Fox River in the Fabyan Forest Preserve. Packet picket is available the day before as well as race morning, which makes this race even more desirable for those who aren’t looking to take time off of work for this event. Parking is very convenient, located directly across the street from the Forest Preserve in a corporate parking lot. Pace teams are available for all qualifying times and are paced to finished one minute under the respective qualifying time to ensure you gain entry into the Boston Marathon. However, after last year’s massive jump in qualification numbers, who knows how much of a cushion your qualification will require? In order to ensure pace teams stay on track, some of the pacers would rotate in and out to guarantee proper pacing – quite a nice feature if you ask me! The bibs are also a unique feature of this race. Each bib starts with your qualifying time followed by a number you are given upon registration. Ex: my bib was 33014. My qualifying time for Boston is 3:30, and I was the 14th person in my age group to register. Hence, when on course, I should look out for other bibs starting with 330 in an effort to help as many people qualify as possible. The weather the week before the race was quite questionable, but the weather Gods pulled through for Saturday’s race, delivering some of the most perfect temperatures with a slight wind that truly wasn’t much of an issue. This eight-loop course (3.25 miles per loop) around the forest preserve proved that with every headwind comes a tailwind and can be used to your advantage. Running along the Fox River on the path had some gorgeous views and was definitely favorable for a BQ. After you run the first loop, you know exactly what you have coming your way for the next seven loops and can easily prepare for it. Aid stations are set up kiddy corner from each other on the course, so you are offered aid 16 times throughout the entire 26.2 miles. True to their word, this race offers a great opportunity to those looking to find their way to the starting line in Hopkinton. 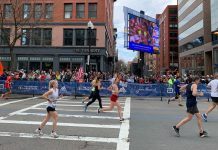 Fifty-seven percent of the field punched their ticket to the Boston Marathon on this course on Saturday morning; in case you were in the 43 percent that didn’t make it, you have another shot at their Last Chance BQ.2 Marathon that happens to be in the same exact location on Sept. 14, 2019. I may not have qualified at this race, but I promise I already have my eyes on the next opportunity. That is, once my legs allow me to take the stairs again. 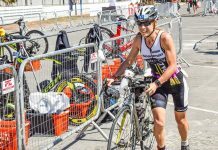 If you’re interested in my personal journey/race recap, you can find it here!